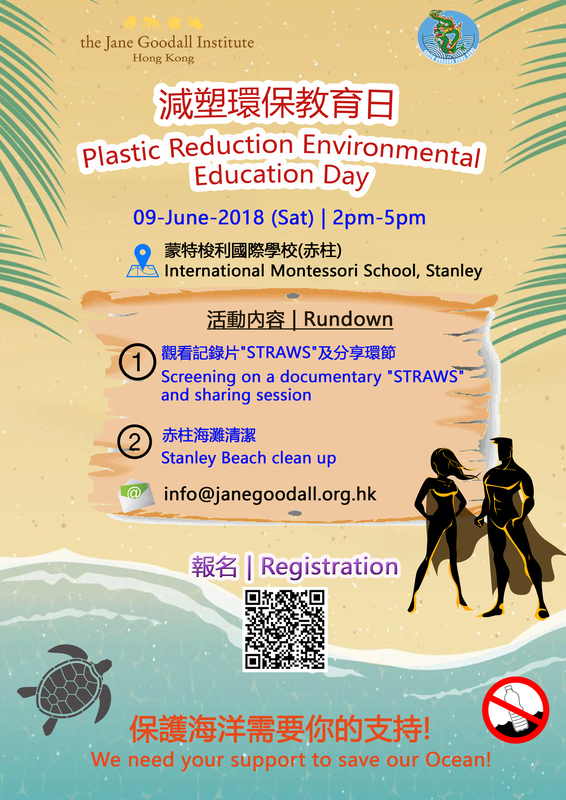 This is a green project initiated by the Jane Goodall Institute (HK) and Green Dragons HK,that will highlight your contribution to a better ocean, a better Stanley, a better Hong Kong.The principal aim is to reduce plastic pollution in and around Stanley beaches encouraging paddlers to bring their own water bottles and food containers, stimulating sponsors to eliminate plastic offerings at dragon boat events and organising regular beach clean-ups with the dragon boat teams. 🛎想參與/支持計劃? Wanna participate / support this Project?